A solid backlog of work has the company facing its future in a strong position, but success hasn't always been easy to come by. In reaching the century mark, Gunderson has had to tap a reservoir of innovation and business savvy to survive a major economic depression, several recessions, market shifts and skilled worker shortages, and two acquisitions. Gunderson's start can be traced to Seattle and a man named Chester "Chet" Gunderson. Born with the heart of an entrepreneur and a head for business, Gunderson opened a small electrical contracting company in 1914, but soon shifted gears, turning a love of motorcycles into a business repairing them. Before too long, Gunderson and two partners found themselves in demand for their expertise in fixing wood-spoke and wire wheels for cars and trucks. By 1919, Gunderson had left his partners behind. He moved to Portland and opened a sole venture called Wire Wheel Sales and Service Co. Four years later, his brother," Alvin "Al" Gunderson, brought his talents as a salesman to the business. Together, the brothers moved through a series of business ventures, including a failed attempt in the fertilizer business, until they found some success in building truck trailers. In the late 1930s, working in the community of Linnton, north of Forest Park, they designed a hub system that drew positive attention. In order to manufacture their new product, they formed a company called Gunderson Bros. The company held the name as it shifted into ship building — and moved to its current riverfront location — in the early 1940s. 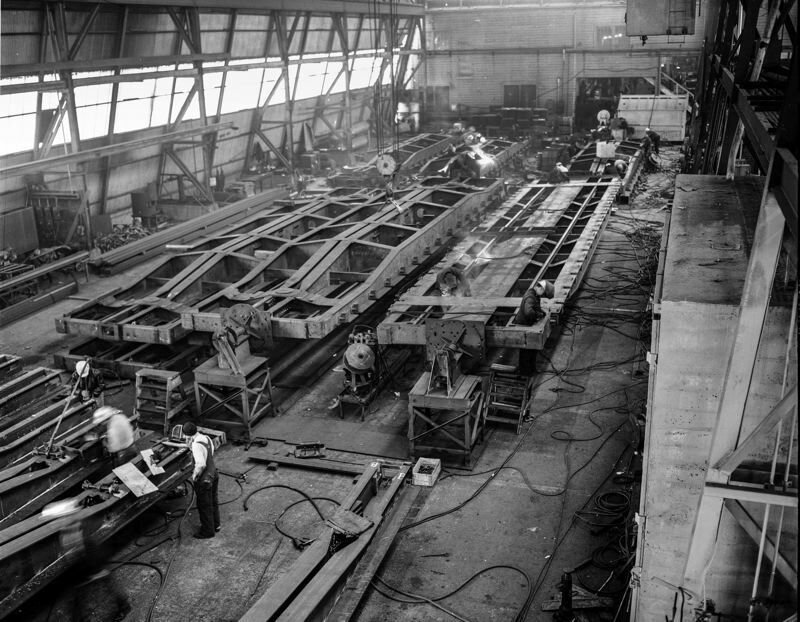 After World War II ended, the company transitioned to building barges. 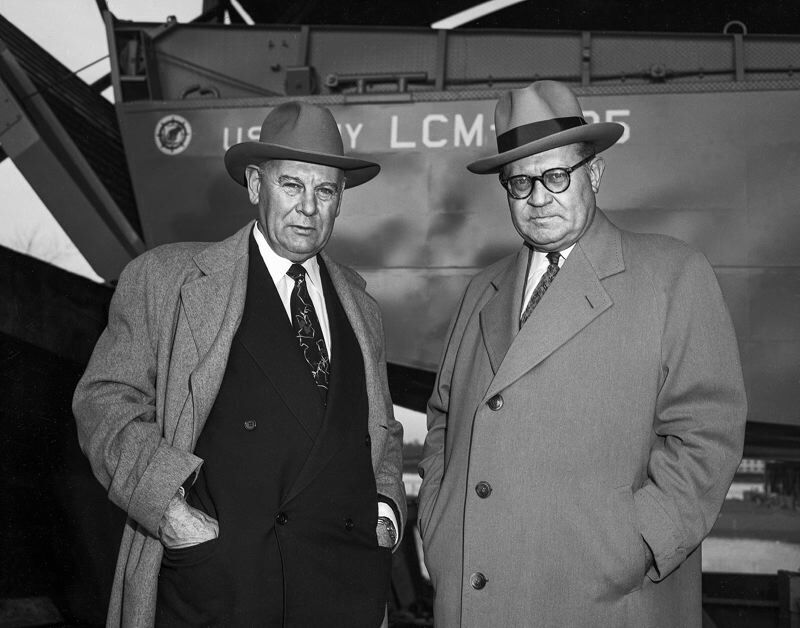 Market shifts, convinced the Gundersons to work on one-time projects, turning out bridges and gates for dams, tugs and barges, and water tanks. However, when those projects began to dry up, the brothers once again went looking for new markets to dip into. They found one when they received an order for 150 rail boxcar underframes. The company's success in that market eventually caught the eye of FMC Corp., a national company that in 1981 acquired the business and changed the name from Gunderson to FMC Marine & Rail Division. The company found itself with a new owner in 1985, when Greenbrier Companies purchased it from FMC. Greenbrier, an Oregon company that got its start in Oregon City and now has headquarters in Lake Oswego, decided to reunite its new acquisition with its original name. 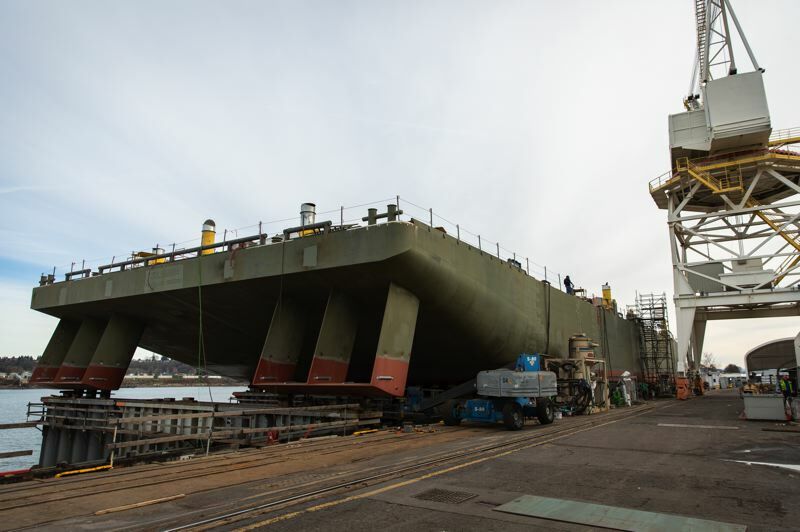 Since becoming a division of Greenbrier, Gunderson has remained the parent company's only manufacturing facility for marine vessels. It also holds the distinction of being the first railcar manufacturing shop. 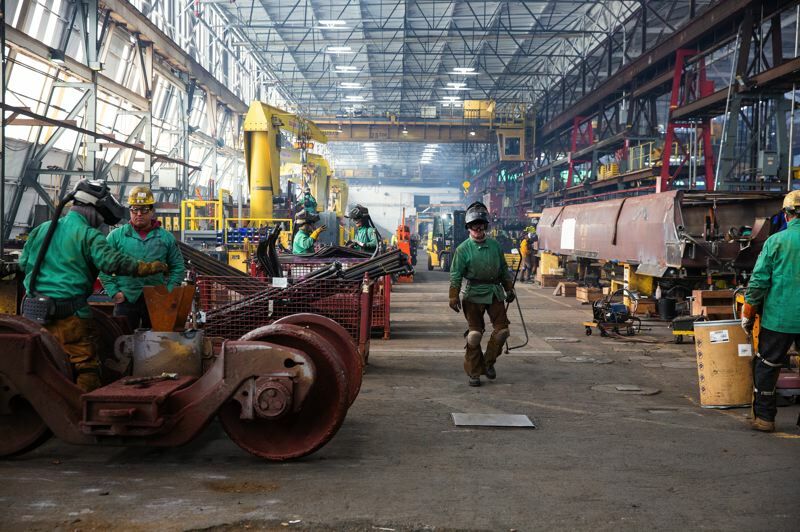 Greenbrier has since added three railcar factories in Mexico, and one each in Brazil, Romania and Poland as well as a joint venture operation in Turkey. There also are several repair facilities for railcars throughout North America along with some shops where wheels are manufactured. The company also provides car scrapping services for its rail customers. "Greenbrier does pretty much everything from birth to death for rail cars," Eitzen said. While most companies choose to celebrate a century in business with cake and balloons, Gunderson is marking the occasion by beefing up its workforce. Even though the company has automated portions of its operations, it still needs skilled workers, from welders to robotics technicians. The company's marine division will begin work in a few months on a 581-foot, ocean-ready articulated tug barge that will have a capacity to carry 208,000 barrels of crude oil or petroleum at a time. Once that vessel — the largest barge the company has tackled — is completed, Gunderson will turn around and start building a second barge with the same specifications. Meanwhile, the rail division is seeing nearly triple the orders of one year ago. "On the rail car side at this time last year, we were at six cars a day," Eitzen said. "Now we're at 16 a day." Gunderson has a track record of keeping employees for as long as 40 or 50 years. Five or six families have multiple generations working at the company. Project manager Fred LaCapra, for example, has worked at Gunderson for 30 years, and his wife, Laurie, has been with the company since 1990. The couple's daughter, Lisa Nelson, works in the engineering division. Bringing in a new pool of employees takes some effort, though. Portland manufacturing companies in general say they're having trouble filling positions. But Gunderson, as one of the few large heavy manufacturers in the area, faces an additional challenge. "We don't have a lot of heavy-industry type manufacturing around here, so it's not like we have a large pool of (trained) people to pick from," Eitzen said. "Generally, 98 percent of the people we hire in, we have to train from ground zero." As a result, the company has developed its own training program that takes employees from basics such as adding fractions and reading tape measures to company-specific techniques and processes. New employees spend six to eight weeks in the custom-designed program and are handed green hard hats to wear when they're working on the shop floor. "Those green hats are a sign to supervisors and managers to keep an extra eye on them for safety," LaCapra said. While Gunderson has worked with local high schools and community colleges to help build programs to prepare a future workforce, finding employees now requires some innovation. The company taps temp agencies and recruiters, and even looks beyond Oregon's borders. It also has seen success focusing specific efforts on recruiting women for shop positions. By working with local groups like Oregon Tradeswomen Inc., which trains women to move into alternative careers, Gunderson has been able to increase the number of women in its workforce from around 5 percent to just under 15 percent. Eitzen wants to boost that number even higher. "It should be better," he said. "It needs to be at least double that." Gunderson and its parent company have kept a watch on the world of tariffs and trade agreements. The federal tariffs on imports from China made a bit of a ripple, but the company has actually felt more of an impact from tariffs related to imports from Russia. 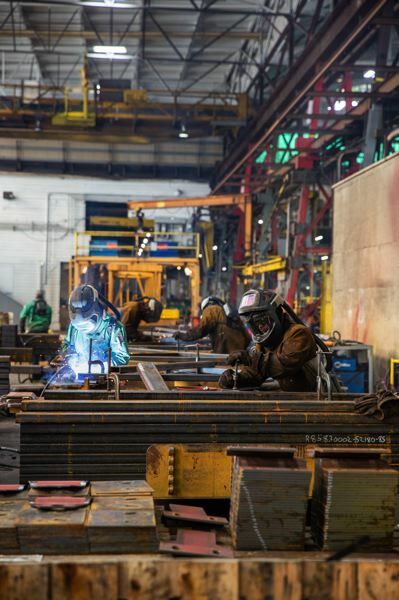 Gunderson obtains a large portion of its steel from another Portland company, Evraz Steel, which gets it ingots from Russia. 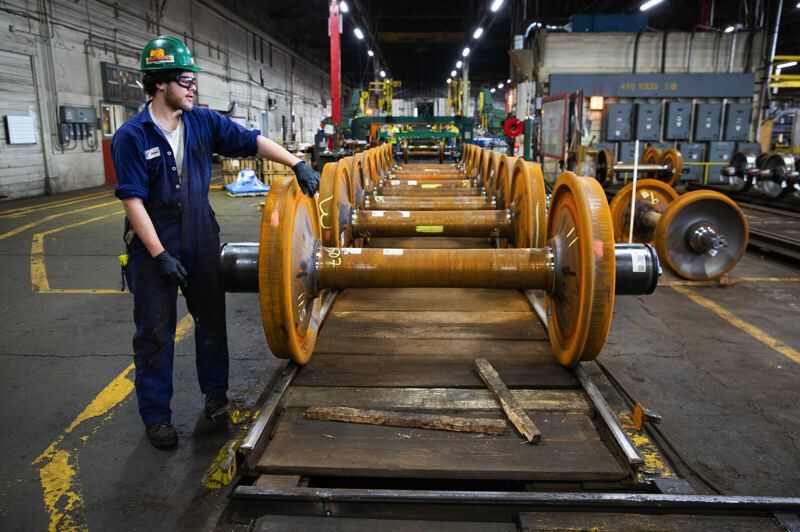 "The tariffs on (Evraz) have definitely impacted us," Eitzen said. "It's a cost increase, so we end up having to negotiate that with our customers." Still, Greenbrier leaders are optimistic about Gunderson's future. The company is one of only about a half-dozen companies in the world capable of manufacturing large-scale, ocean-going barges while the current strong economy bodes well for the rail division. "Our business, particularly with the stack cars, is driven by the general economic conditions, consumer spending and where that is," Eitzen said. "So long as that stays fairly healthy, the rail car side will probably continue to show strength."